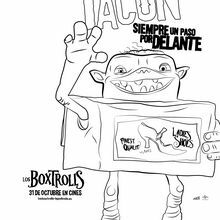 The Boxtrolls movie created by the talented hands that made Caroline and Paranorman has once again crafted a new tale of an unlikely family who dares to be square. 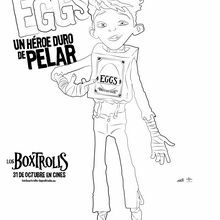 The Boxtrolls follows the adventure of an orphaned boy named Eggs who was raised by underground creatures called Boxtrolls. The Boxtrolls come out at night to rumage through the trash to collect items to use for their inventions. Eggs leads us on an adventure when he comes up from the sewers and out of his box to save his family and the town of Cheesebridge from the evil exterminator, Archibald Snatcher. 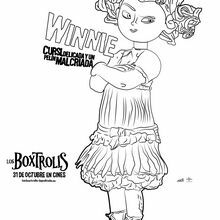 Hellokids.com has fun Boxtrolls games and coloring pages to keep your adventure alive. 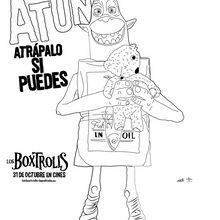 You can play a The Boxtroll puzzle games and The Boxtroll matching game.